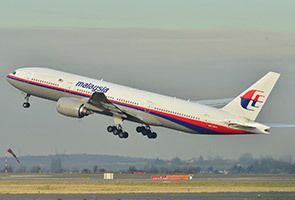 PUTRAJAYA: A National Fatwa Council committee decided on Tuesday that it was not the time yet for 'solat jenazah ghaib' (funeral prayers without the presence of a body) for the Muslim passengers and crew of Malaysia Airlines flight MH370, said its chairman Prof Emeritus Tan Sri Dr Abd Shukor Husin. He said the decision was made unanimously in a two-hour special meeting and it was agreed that all on board the plane were considered as deceased after search efforts failed to find anything so far. "The Committee also decided that the deaths must be certified in the Syariah Court because it is important for issues related to the next-of-kin such as the division of property," he said. He said the prayers should not be carried out as yet because the authorities were still searching for the black box and bodies of those on board the plane. "If they manage to find the bodies or body parts then we can conduct the prayers according to Islam," he said at a press conference here on Tuesday.